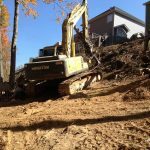 Soil nailing is an economical technique used to stabilize existing slopes and to construct retaining walls from the top down. 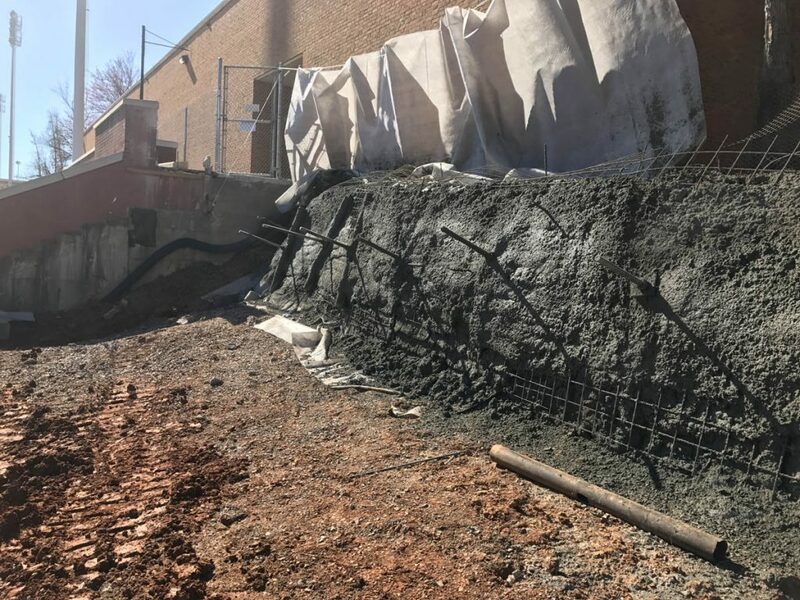 This soil reinforcement process uses steel tendons which are drilled and grouted into the soil to create a composite mass similar to a gravity wall. 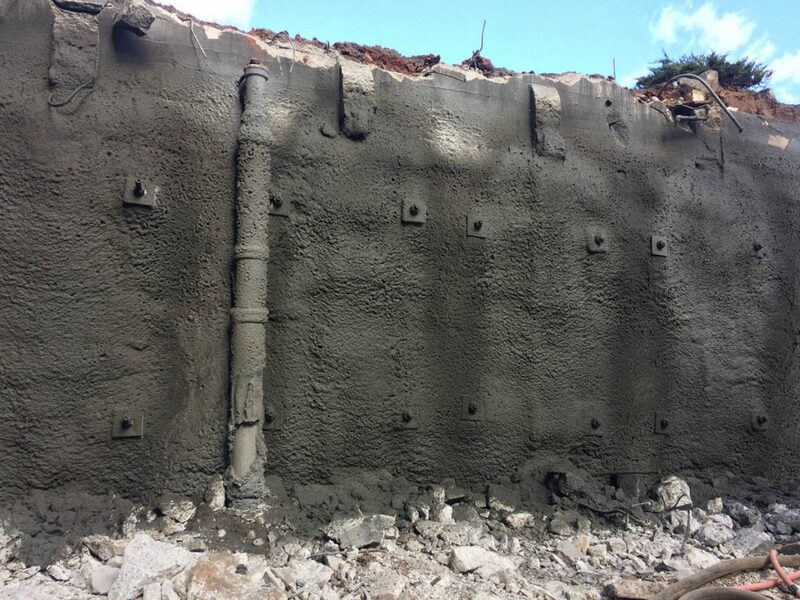 A shotcrete facing is typically applied, though many architectural options such as precast panels or “green” vegetated cells are available for permanent wall facings. 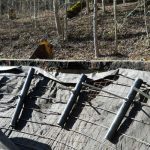 What Are the Advantages of Soil Nailing? 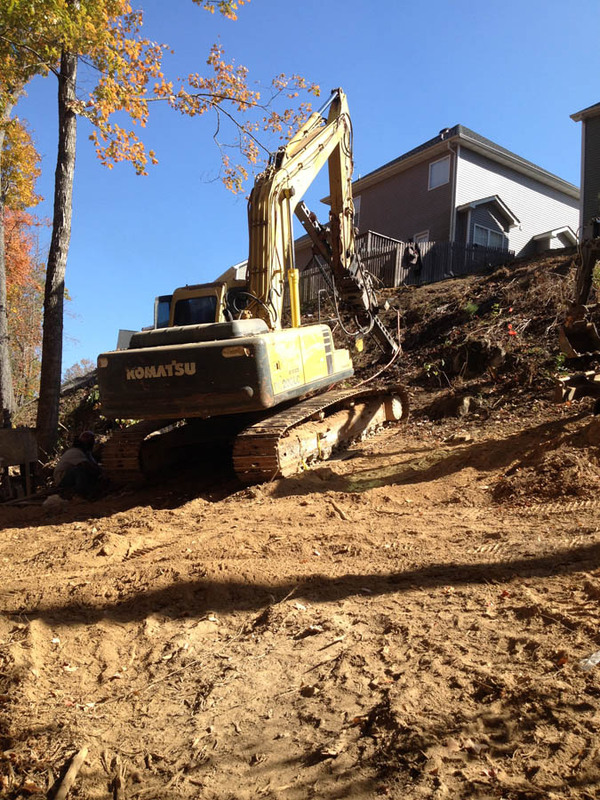 The process is very versatile. 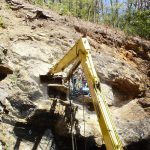 It is easy to shore along irregular curves and surfaces and installation methods can be modified according to constrained access. 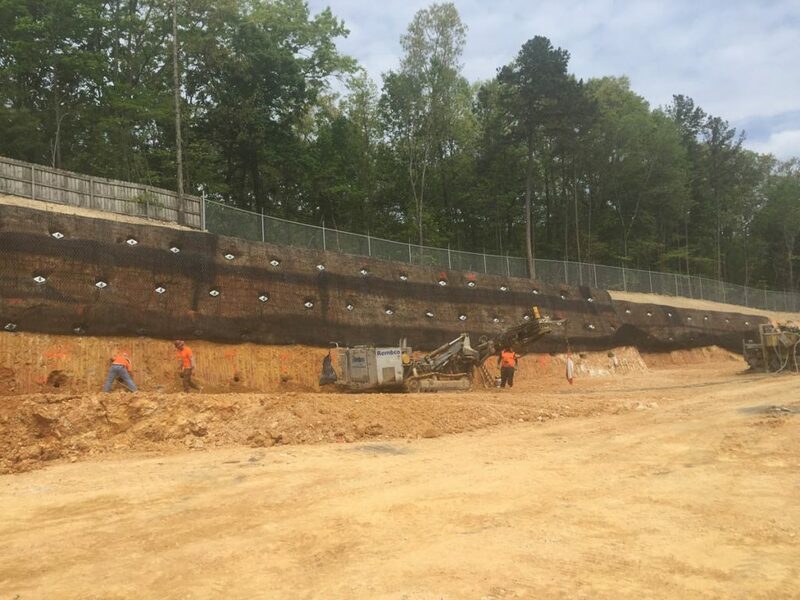 For shoring walls higher than about 10 feet, soil nailing is more feasible and more economical than driven piles. 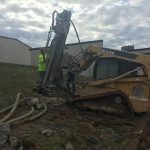 It is also quieter than driving piles. 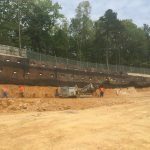 When space for shoring is limited, especially for tall retaining structures, soil nailing produces a much smaller footprint than laying back a slope. 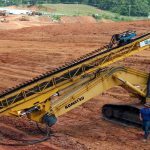 What Are the Alternatives to Soil Nailing? 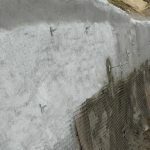 How is a Soil Wall Installed? 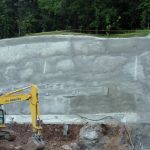 This stabilization method reinforces existing soil or weathered rock by: First, excavating a pit to a depth of four to five feet and creating a vertical face along the edge of the cut. 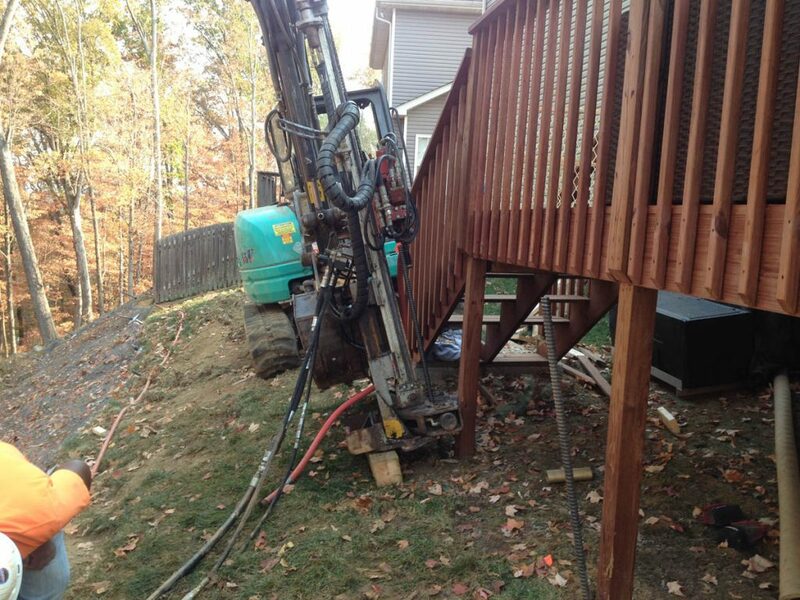 Second, drilling a series of horizontal or near horizontal holes along the face of the cut. 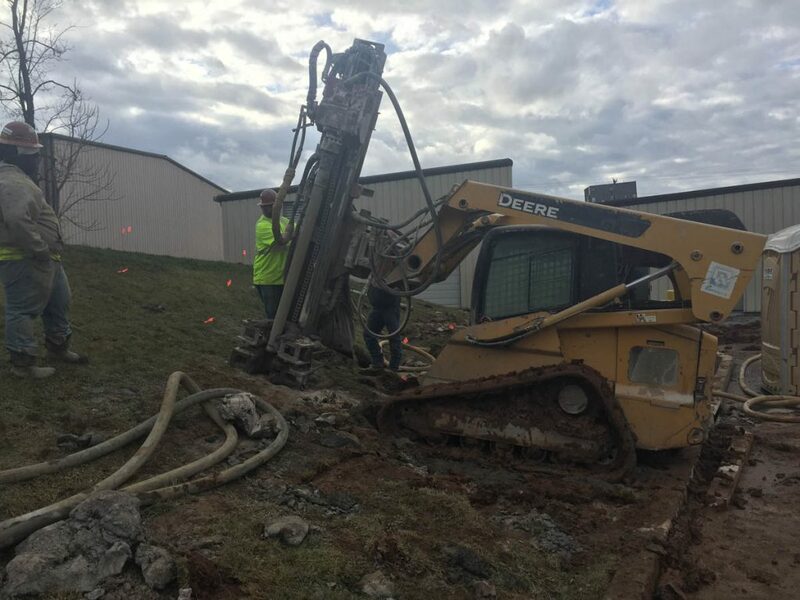 Next, inserting threaded steel bar with centralizers into each hole. 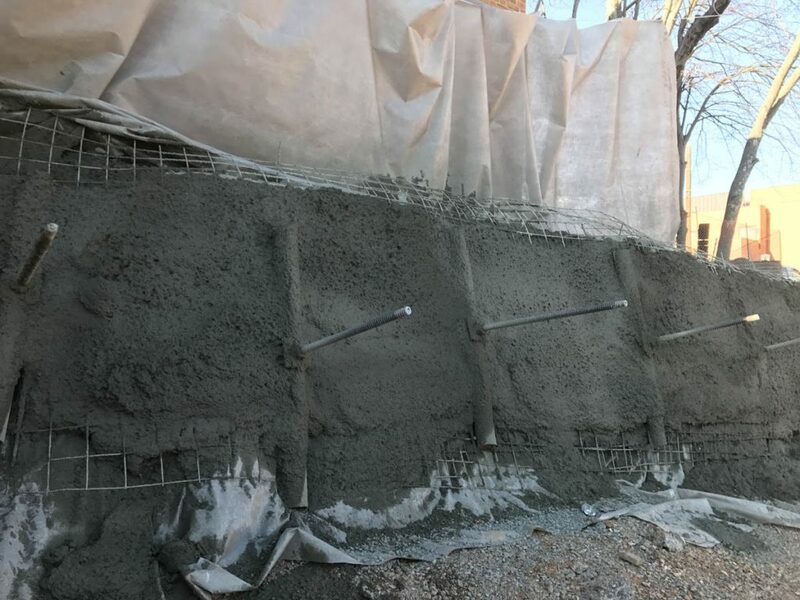 Fourth, flushing and filling each hole with cementitious grout. And finally, after the grout is cured, a bearing plate and nut are installed onto each of the nails and tightened against the face of the cut. 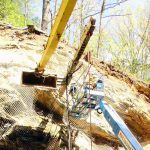 When this sequence or “lift” is finished, the pit is excavated another five feet – extending the vertical face of the wall downwards. 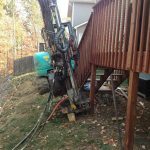 The process of drilling, inserting bar, grouting and installing plates is then repeated until the desired wall height is attained. 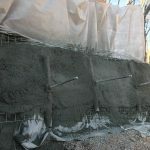 In this way, a stabilizing wall is constructed from the top down in five-foot increments. 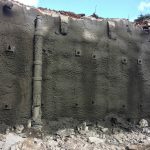 A constructed face is usually applied for shoring. 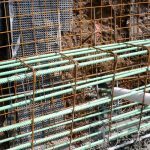 Typically, reinforcing wire is secured to nail heads before applying three to four inches of sprayed-on shotcrete. 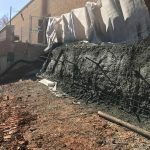 Permanent walls can be made more pleasing to the eye by imprinting a texture or pattern, by facing the wall with stacked stone or block, or by applying aesthetic landscaping.